Double Decker Den Children’s Parties. Imagine your child’s face when the Double Decker Den mobile play bus arrives and opens its doors at your house or chosen venue. You will be amazed at just how much fun a group of young children have on our bus. Double Decker Den Wedding Entertainment. While all the adults are eating and listening to speeches, children can get very restless, so why not let us entertain them with our play bus, at your wedding venue? Double Decker Den Christening Entertainment. We’ve attended many christenings at a wide range of venues. A fun, unique idea for your christening event, keeping the young ones entertained whilst the grown ups get the most from this joyous day. Double Decker Den School or Nursery Entertainment. The play bus can be used to enhance children’s physical play as required by Ofsted regulations. 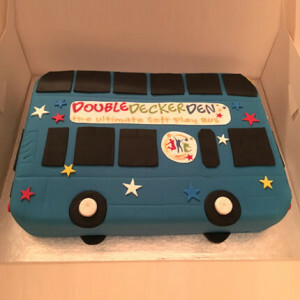 Alternatively, you can use Double Decker Den as a learning resource to support curriculum-based activities and the best thing is, we come to you. Double Decker Den corporate events, family fun days and work social events are always difficult to get right. You can never be sure of the weather or the age range of children coming, and whilst some outdoor activities are an excellent way to unwind and make friends, they don’t appeal to everyone. Unlike us! We can provide Double Decker Den for your outdoor fate or festival. 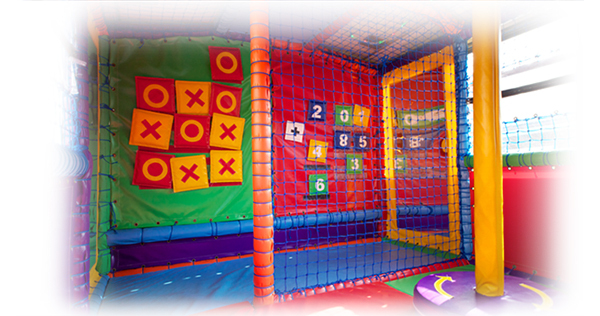 A great addition to your event, especially for young children to enjoy. Flexible packages available. 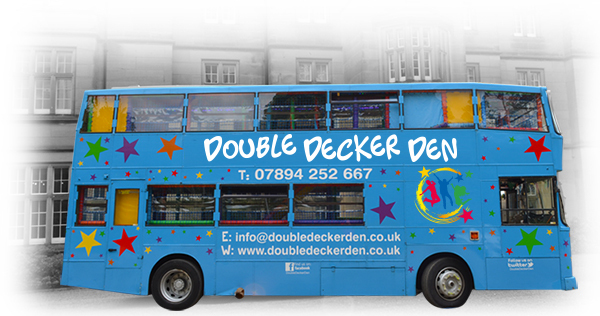 Double Decker Den is a double decker soft play bus based in Newcastle upon Tyne. Our play bus has been specially converted into a self contained mobile soft play area for children aged between 1-9 years. We offer a service where we put our littlest customers first. We love kids and have many years experience in children’s party entertainment. 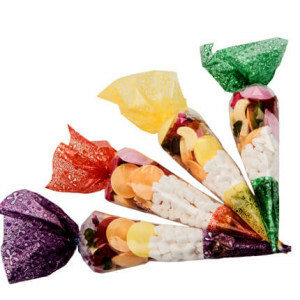 We treat them all as individuals and tailor each party to their wishes. 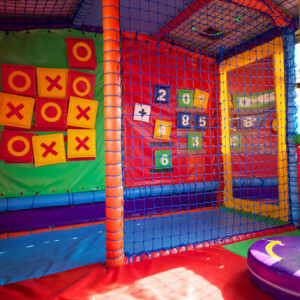 We aim to build a trusting relationship with parents to ensure that their child has the best party ever. 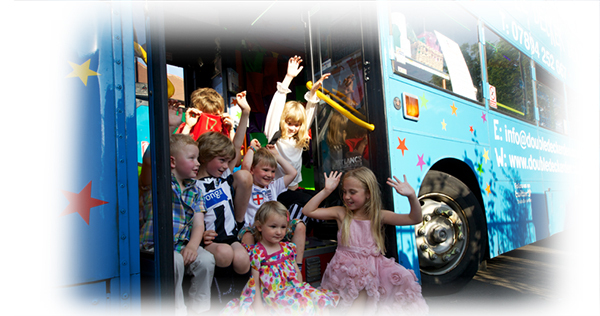 When it comes to designing and delivering our party bus experience, we put our youngest customers first. and amazing all round entertainment. Every parent wants to give their child a birthday to remember. 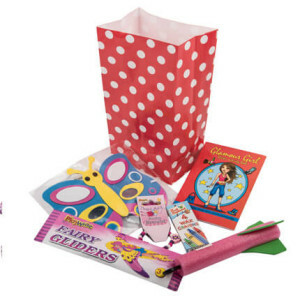 FREE party bag for the birthday child. Free party invite available for you to download and print. Our party bus standard package comes with all you need for your party, however you may want to add a few special extras for your event. 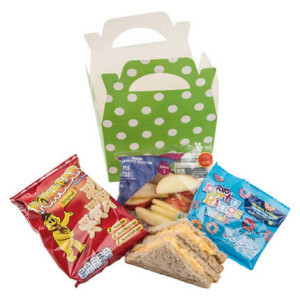 Take a look at our range of optional extras, contact us with your order or order directly online and we will have them ready for your event.